The sides. Love the English side with the ingredients and directions. As you can see, you can either use the sponge applicator or squeeze it out directly. The product does not come with another sponge, but I believe you can buy another separately. The actual container. It was much smaller than I imagined, but I do like that you can store it upside down. The sponge, and if you screw it off, you can squeeze the BB cream right out without using the sponge. 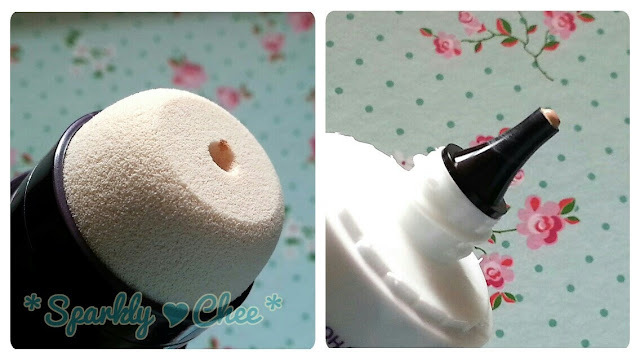 To use the sponge, squeeze the tube and the BB cream will come out of the hole in the center, then either dab or spread the BB cream on to the face! :D I like to use a dabbing motion, since it's gentler on my skin. The BB cream on my wrist, partially blended, and blended. The texture is very creamy, and has a beige, yellow tone to it. And blends quite well with the sponge applicator. 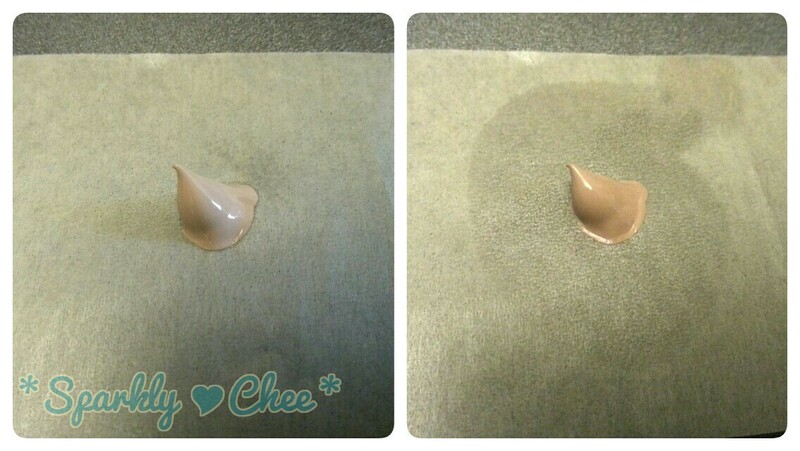 On my face, before and after BB cream. I used the sponge applicator. The coverage is medium, it does a good job of covering redness and some freckles, and it brightens as well as mattified my face a bit. This is after 7 hours of wearing the BB cream. I did not use any powder over the BB cream during the 7 hours. As you can see, my cheeks became shinier, but I think it does a great job of controlling oil on my nose, and overall my face is much less shiny than if I had no BB cream on. Oil test on a blotting sheet. The right photo shows the oil after 5 hours. Honestly I was surprised buy how much oil it contains, considering the fact that it controls oils quite well. The texture of this BB cream is quite creamy, compared to the Original Bright Fit BB Cream from Etude House, I found this to feel just a bit thicker, and it doesn't feel as oily. You can either use the sponge provided on the applicator, or squeeze it out and use a brush or fingers. I find the sponge will give the most even coverage. First you squeeze the tube until you see the BB cream oozes out from the center, then dab it on to your face. Or you can twist the sponge off, and squeeze out the BB cream directly. Comparing this sponge to the Holika Holika Face 2 Change Roller BB, I actually like the latter better, as the sponge is smaller and can easily get to difficult to reach areas. This sponge is much bigger, and sometimes I still need to use my fingers to swipe the cream around my nose. The colour has a yellow tone, and matches my skin tone very well! As you can see in the before and after photos above, the lighting is a bit different, but this BB cream does brighten my face and makes my complexion much more even. I also gives a nice dewy glow too! ^^ I usually use two squeezes of the BB cream one on each side. The coverage is medium, a bit less than the Original Bright Fit BB, but I don't mind, since it does feels lighter as well. From the photo above, you can see after 7 hours the BB cream has faded a bit, but still provides some coverage. And note that I did not use any powder or spray over it! So it might last much longer if you use some kind of setting powder/spray over it. Also, as for oil control, I think it's great. My skin is usually normal type, but a bit more oily during the summer. But I get a lot of oil on my nose area. From the photo above you can see my nose it's not at all too shiny, just my cheeks are a bit more shiny. Do remember that I did not use any powder or blot during the seven hours. 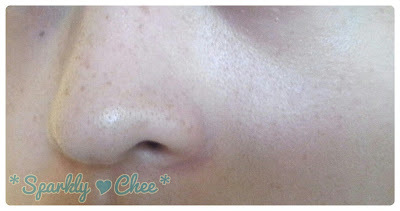 The scent is very similar to the Precious Mineral Bright Fit BB, powdery and floral. Not too strong, and nothing special either. 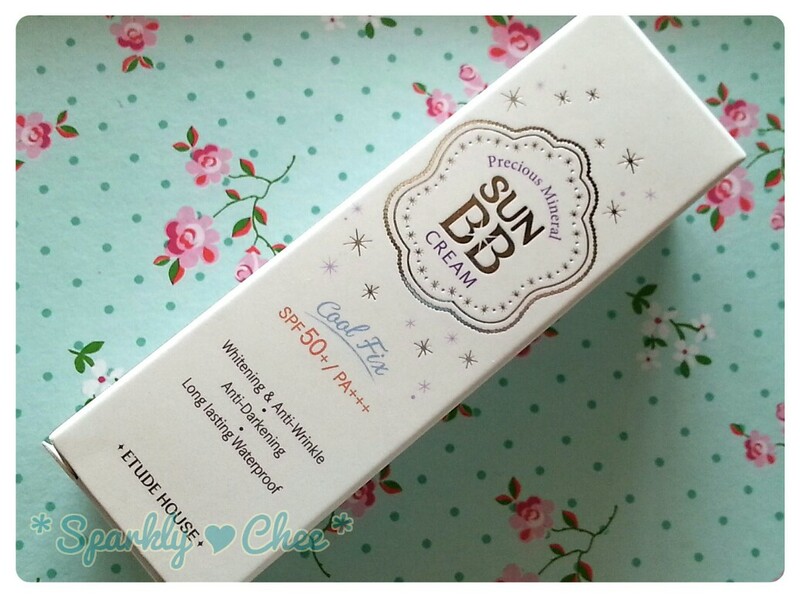 I love this BB cream for its high SPF50 and PA+++. Compared to the Bright Fit BB cream, it has a lighter coverage and feels lighter too, so it's great for summer time! The oil control is good, although it does contain quite a bit of oil in itself. The sponge is allows for a light even coverage, but can be difficult to use since it's quite large, and it's a hassle to wash. Here is a comparison of the Bright Fit BB and the Sun BB. Note that the Bright fit is in the shade N02 and the Sun BB is in the shade W13. JOLSE.com is currently sold out of this BB cream, but you can find the new Bling in The Sea version here! Have you tried any Etude House's BB creams? How do you like it? Alright! That's it for today's review! Thanks again to iamlove-shop/JOLSE.com for allowing me to try this product! And as always thanks for reading and see you next post! Thank you so much for the review, Chee! ^___^ This looks like a great BB cream, hehe. Hehe Thanks for reading June! Omg yes! Today the AC broke in my work place, I was sweating non-stop! what a very detailed review chee! Great review. Covered everything I always want to ask about. Haha. I really liked the Precious Mineral Cotton Fit BB Cream from Etude House but the colour just didn't work for me. T_T Only one I've tried from them at this point. I'm super impressed after 7 hours. It provides really great coverage. I loved the cotton fit BB cream but this one looks really nice too. Great review btw :D The SPF is pretty impressive, too! Great review!!!!! ^^ I always look forward to new Etude House BB creams, because they always work for me and they are just awesome!!! :) Oh and by the way, I love iamlove-shop, fast shipping and lots free samples!!! Try for the summer Amy! :D I think it's a decent BB cream, especially with the high SPF! Ohh I really wonder how is the Bling in the Sea version would be like :D Please review it when you try it out Nhi ^^ Thanks for reading! I was pretty impressed too, but surprised at how much oil it contains. :o Thanks for reading Kim! Oh I really want to try the cotton fit, at least a sample or something. xD Thanks Fraulein Schnee! 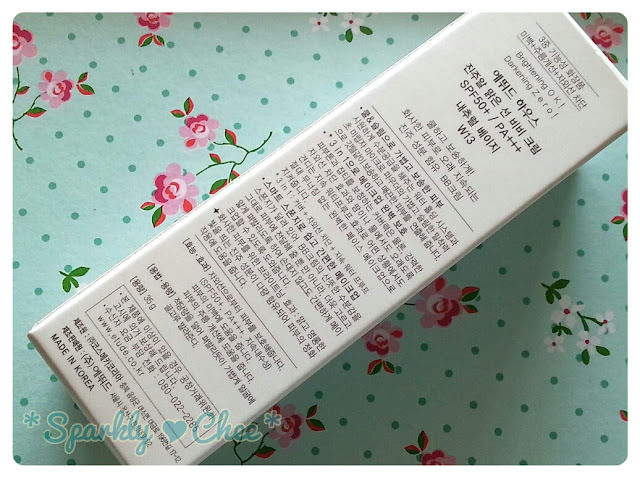 I find Etude House BB creams to match my skin quite well, and they blend very well too! Yes I'm really glad I found them too! I think some products on their website are even cheaper than on eBay! Oh that's too bad! 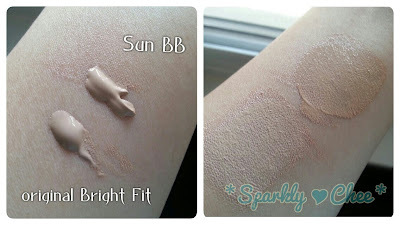 >.< Missha usually has a lot more shades selection in their BB creams! Would you want to follow each other on bloglovin and GFC? Take a look into my blog and let me know! the colour actually match my skin tone quite well on my face. I just followed you a couple of days ago, and you are already following me. Wow. Thanks for doing the oil test. 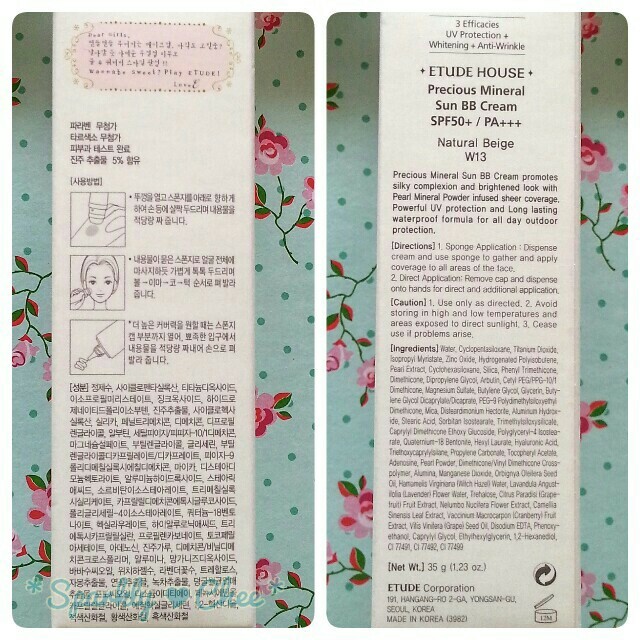 I wasn't quite sure if this product was oil-free as it's not explicitly described by Etude. I love the staying power of this product but I'm starting to think it's making me break out even more - and that's because it's not really an oil-free product. And with the high SPF it may not be non-comedogenic, either. Kinda sad as I really like this one. 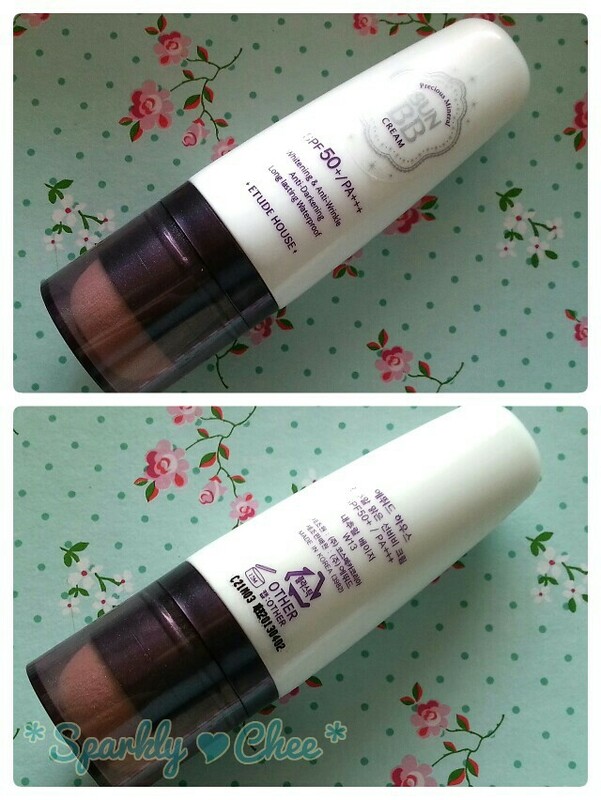 A similar BB cream is the Holika Holika face 2 change roller BB cream, I found that one to be much less oilier. So it might work for you! Haha I was so surprised by the oils too! But surprisingly the oil control is not too bad, but I don't have very oily skin in the first place. So I can't say the same for those that do. I have combination skin so I'm a little taken back when I see how much oils it contains. Since the BB cream is quite oily would you say its better for dry skin?